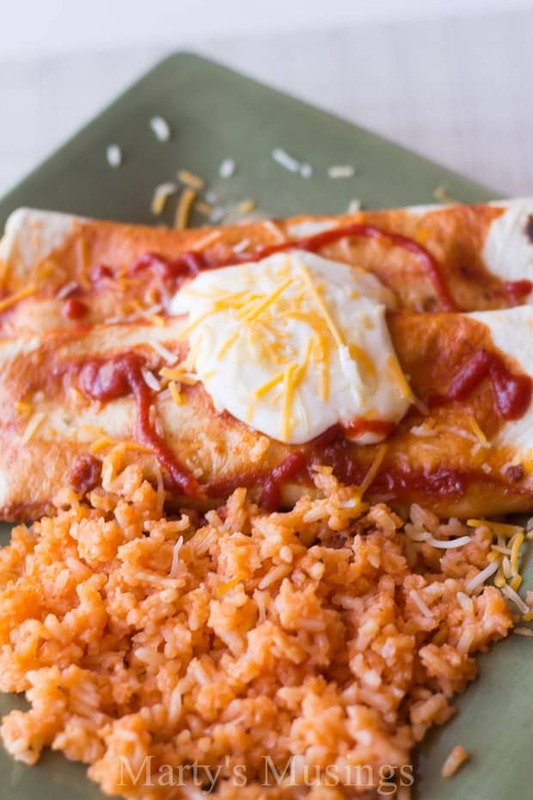 These easy Beef Enchiladas can be made ahead of time or frozen and are perfect for the busy family. No more reasons to eat out! Does the “what’s for dinner” question strike you with fear? Are you tired of trying to come up with new dishes your family will love? I’ve been (and still am) where you are and I want to share one of our family favorites in hopes it will help! 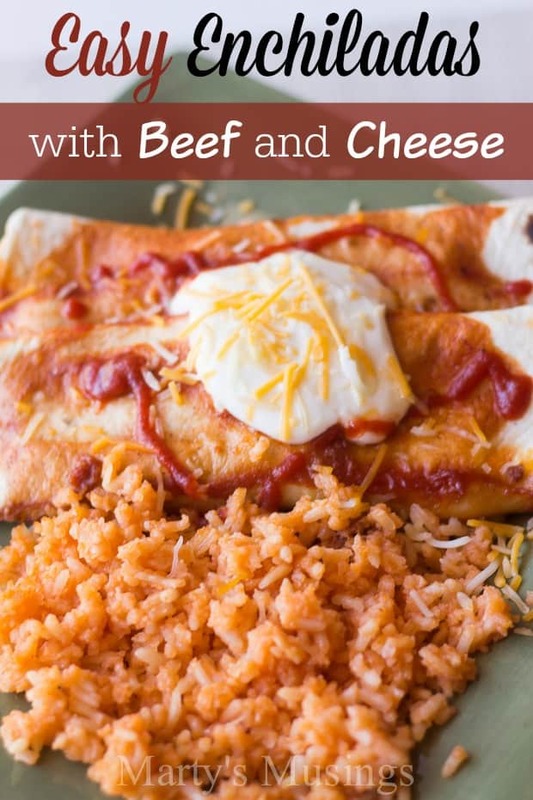 When my oldest daughter got married she wanted me to make sure I shared on the blog how to make enchiladas with beef and cheese, one of her favorite dishes. Rachel was my picky child, but when she enjoys a dish she doesn’t mind eating it over and over! You can make two casserole dishes or one dish and the remainder of enchiladas can be frozen individually, popped in the microwave and served with or without sauce. Lettuce, salsa, guacamole or tomatoes can be served on the side as your family desires. 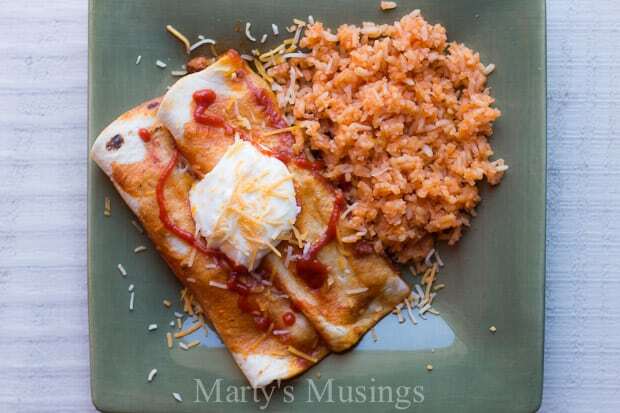 I either make refried beans or Mexican rice to serve with this dish. Double the recipe and freeze half to have on hand when an easy dish might be needed. Some of our other family favorites include Slow Cooker Taco Soup, Mexican Taco Dip and Slow Cooker Rice and Beans. Easy to prepare dish with ground turkey and chorizo providing a great taste. Cook ground beef and chorizo, then drain. Lay tortilla flat and spoon sour cream down the center. Add meat mixture and cheese and roll up. Place opening side down in 9x13 glass casserole dish. Continue filling dish until there are as many enchiladas as desired (they can overlap if necessary). 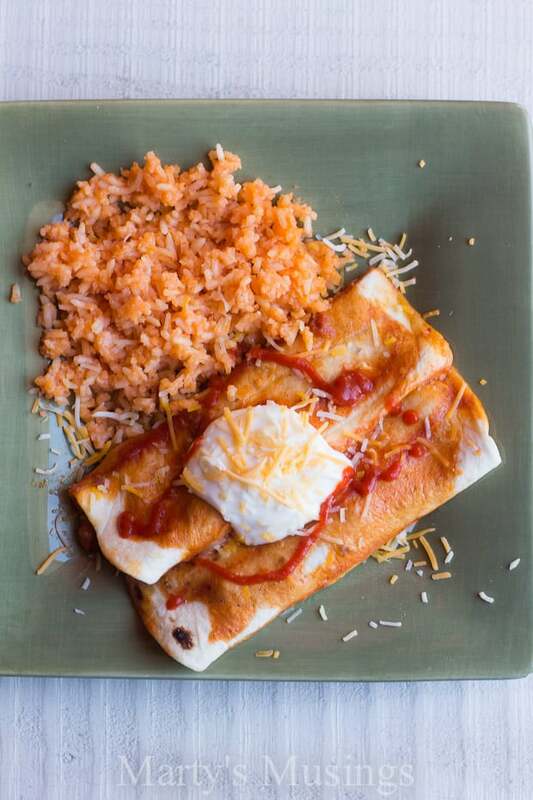 Sprinkle with additional cheese and cover with enchilada sauce. This recipe makes plenty for one meal with enough leftover to freeze enchiladas individually for later use. Yummy! I can attest because my recipe is similar. We share a love of Mexican food. Love what you are doing with the blog, my sweet friend! I need to know how to make blog recipes printable. Directions, please.